If you like a big stemming corner with hand jams, finger locks and laybacks, and if you want to climb like that for some 120 feet, visit Hospital Corner (5.10a) at Lover's Leap. This is one of the most spectacular pitches of climbing I have done and is most memorable. 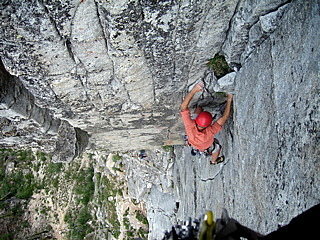 I have no photos of this climb so here is one I borrowed from Mountain Project. Photo credit goes to "Annie from Bishop"